points of contact of artificial or natural teeth on the side of the occlusion toward which the mandible has deviated. the occlusal contacts of teeth on the side of the jaw toward which the mandible is moved. 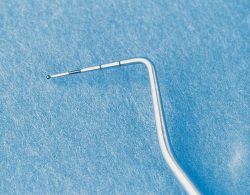 Working end of a periodontal probe.